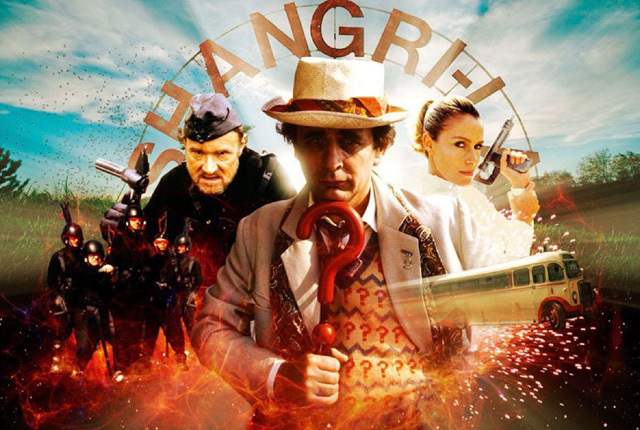 Doctor Who: Revisiting DELTA AND THE BANNERMEN | Warped Factor - Words in the Key of Geek. Andrew East shares some love for an oft-neglected season 24 classic. Poor, unfairly maligned Delta and the Bannermen. Let me start at the beginning. I became a ‘proper’ fan around the time of Season 26. That’s when I started buying DWM, seeking out the videos (remember VHS, kids?) and generally bonding with other friends over a love of Doctor Who (I even co-wrote a short-lived fanzine). But I had been watching Doctor Who for a long time. First earliest, clear memories of the series are of The Trial of a Time Lord and then of the McCoy years. It came as something of a shock to me when I delved deeper into fandom, that Season 24 wasn’t particularly liked – or the McCoy years at all, for that matter. I loved the stories, particularly those which seemed to aggrieve fans the most – The Happiness Patrol, Paradise Towers and, yes, Delta and the Bannermen. A word kept getting bandied around – ‘pantomime’. Now, pantomime is another love of mine and it rather incensed me that people were comparing the TV series I loved to another art form I loved but using it as an insult! (I won’t go into my rant about why a) Doctor Who has never been ‘pantomime’; and b) why pantomime shouldn’t be used an insult anyway). In those days, we didn’t have Gallifrey Base or Facebook or any of the other numerous ways we now connect with other fans of what we like. No. Back then, we had rec.arts.drwho. I’m not sure I even properly remember the mechanics of these places (there were lots of them for all sorts of interests) other than that I accessed them through our ancient family PC and they consisted of various message threads a bit like the forums do now. For some reason, and I don’t really remember why, I started a thread about my love for Delta and the Bannermen (or I replied to someone else’s thread or something – I forget) and, being young and hot-headed, I launched into quite a tirade about how anyone who didn’t like Delta and the Bannermen must be mad and was just a narrow-minded fan who couldn’t appreciate anything unless it had the words Hinchcliffe and Baker stamped all over it. I don’t remember the exact arguments, but needless to say I had terrible ‘netiquette’, the argument got ridiculously heated and it is something I regret to this day. That said, though, I was right about Delta and the Bannermen. It is an awesome story. This is the story where McCoy truly becomes the Doctor; Mel is written far better than in some other stories; and the supporting cast of characters sparkle. It also has a great soundtrack; lovely location shooting and a sense of fun that is sorely missing from some Doctor Who stories. That’s not to say it isn’t without its faults (which Doctor Who story is?). The Bannermen aren’t the most developed of enemies, although Don Henderson’s Gavrok is a decent villain, and the less said about the two American agents the better (their part of the plot seems too far-removed from everything else going on and the performances from Stubby Kaye and Morgan Deare aren’t the greatest). But these are minor gripes in a three-episode cavalcade of 1950s goodness. The opening sequence of the battle between Bannermen and Chimeron is impressively staged. Yes, we’re in Doctor Who’s usual sandpit/quarry but the sequence is short enough for this not to be an issue. The make-up on the adult male Chimeron is also quite good. 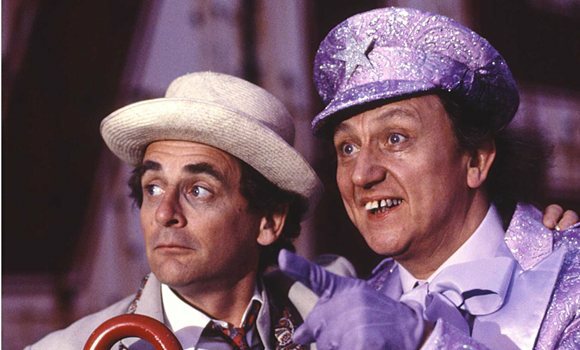 Moving on the spaceport we meet the Doctor and Mel stumbling on to a prize giveaway with Ken Dodd as the Tollmaster. Much was made, at the time, of Dodd’s casting. The fans who were, frankly, already against this era since the casting of Bonnie Langford, were never going to take kindly to the casting of a known comedian. But, beyond this shallow, prejudiced opinion, Dodd is actually good in the small role. His later scene with Gavrok and the Bannermen is rather disturbing, particularly his cold-blooded murder. Yes, his costume is a bit silly, but this was the 80s. 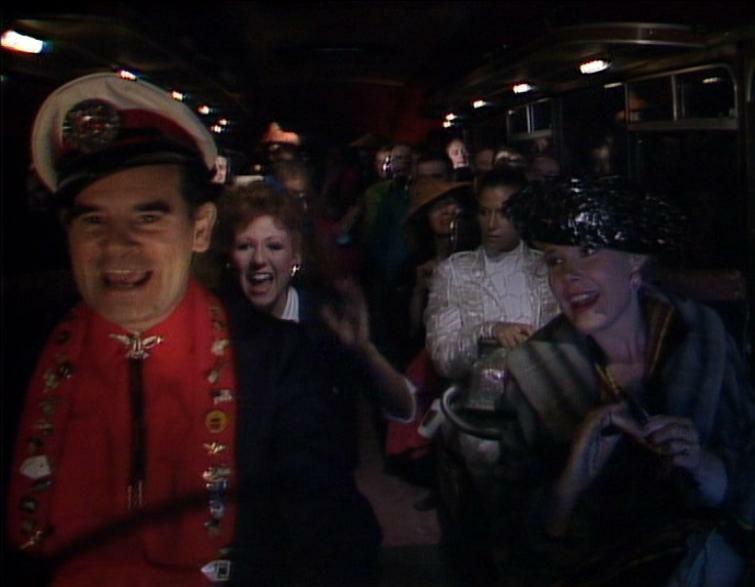 Here, we also meet Murray and the other Navarinos, off on their trip to 1950s Disneyland. Oh, for a Doctor Who story set in that location – what a treat that would be. As it is, of course, we end up at a holiday camp in Wales, but Murray – all positivity – manages to put a good spin on things and the aliens head off to experience what the time period has to offer – in particular, rock and roll. Johnny Dennis, as Murray, has a great rapport with both McCoy and Langford lending a warm glow to their scenes together. The other Navarinos, whilst not very developed, add colour to their scenes and its huge fun watching them at the disco or running around in a panic when they hear of the Bannermen approaching. But what of the eponymous Delta? Belinda Mayne’s performance, it must be said, is a little mannered, but the love triangle established between her, David Kinder’s Billy and Sara Griffiths’ Ray makes for an unusual Doctor Who plot. How often did the classic series do romance? It is a refreshing change. Ray, of course, is the companion who could have been. And what a delight she would have been. 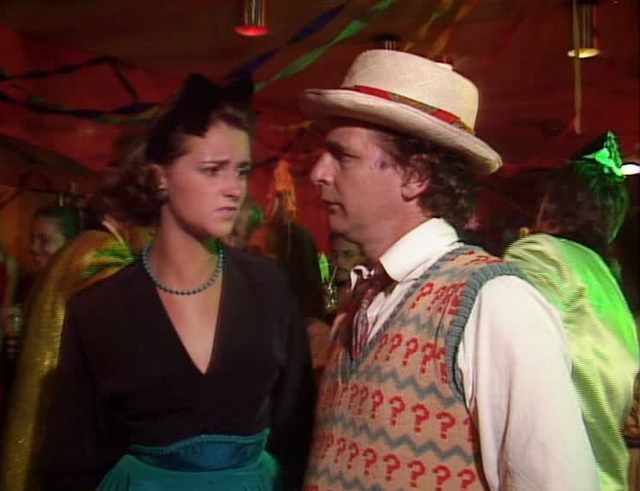 Sara Griffiths works so well with McCoy and 7th Doctor and Ray adventures would have been enormous fun. As a write this, I realise that the main strength of Delta and the Bannermen is probably the plethora of likeable characters because I haven’t even began to talk about Richard Davies’ Burton or Hugh Lloyd’s Goronwy. Davies, like Dennis, Griffiths, Dodd and, for all their flaws, Kaye and Deare, has such an easy rapport with the rest of the cast that, again, every scene he is in, is a joy. The ‘space buns and tea’ scene is one of my all-time favourite Doctor Who scenes. And then there’s Goronwy. Is he a Time Lord? I like to think so. Hugh Lloyd is simply magical. His little wink at the very close of the story is perfect. 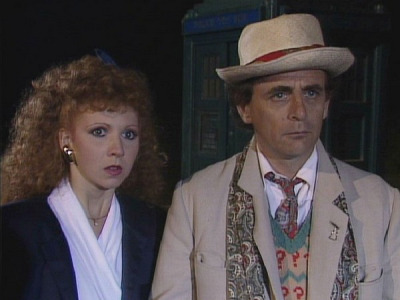 But let us not forget Sylvester McCoy and Bonnie Langford. For a long time these two accomplished, talented actors bore the brunt of fandom’s dissatisfaction with a series which they thought had become embarrassing and lacklustre. I strongly believe this wasn’t the case. Fans were blinkered by prejudiced opinions and rose-tinted glasses of the previous eras. Delta and the Bannermen is a story which shows how good these two actually were in a gentle, intelligent, romantic adventure which is proof that Doctor Who can be anything it wants to be – if we will let it. McCoy really settles into the Doctor here. His pondering on romance, his burgeoning relationship with Ray, his delicious awkwardness at the dance; all are incredibly Doctorish. Bonnie Langford’s Mel revels in exploring history and having a chance to meet a wide range of people – you can tell she’s a people person. This story also makes her seem like a real person. She even gets to change outfits throughout the story making her seem far more real than a lot of ‘costumed’ companions (at least in this one story). There is further characterisation in her tangible horror at the mass murder of the Navarinos, and yet she manages to think on her feet to try and throw the Bannermen off Delta’s trail. If there’s one problem it’s that the Doctor and Mel don’t actually spend much time together. 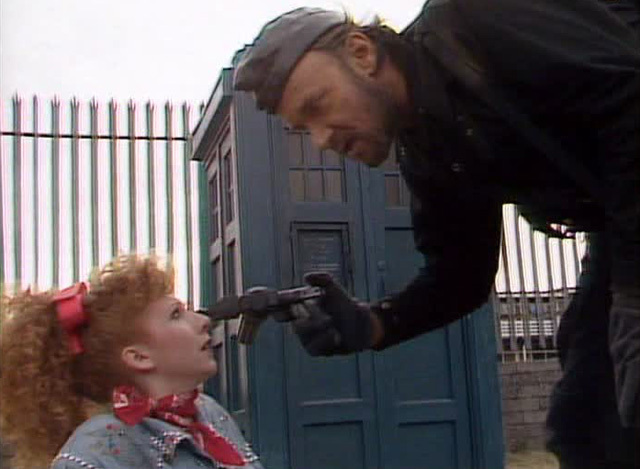 The Doctor spends the majority of the story with Ray, whilst Mel bounces around the various guest cast members. As the years have passed, more and more fans (particularly those free of the hang-ups fandom had in the late 80s) have declared their enjoyment, if not love, for this little story tucked away in the McCoy era. Okay, I’ll admit I am biased as I also have a fondness for rock and roll and the whole fifties vibe (the soundtrack of this story is huge fun). I’ve always admired Bonnie Langford as an actress and will defend her to the hills. But, Ray is the greatest companion we never had (why haven’t Big Finish revisited her?). There is joy to be found in each and every character (and there are a lot of them; too many perhaps, but I couldn’t ever get rid of one (except maybe Hawk and Weismuller)). The location filming is beautiful and Barry Island makes for a perfect holiday camp. The Hi-De-Hi parallels are unavoidable, but why is that a bad thing – it was a hugely successful and popular sitcom. This story simply has so much to enjoy and it makes me so happy when I watch it. I know it won’t be to everyone’s taste, but then that is the glory of Doctor Who – there’s something for everyone and it’s good that, nowadays, most fans acknowledge and indeed celebrate this rather than trying to tear down what they don’t like. Delta and the Bannermen is simply Doctor Who at its best. Do you know why? Because it isn’t afraid to be itself and just have fun. We could learn a lot from this little gem.